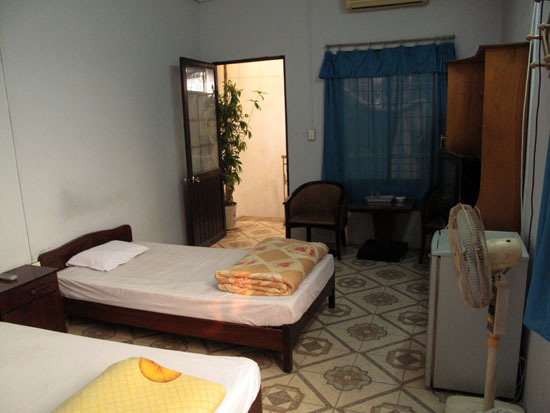 Phu Hoa “Tourist Guest House” is one of our top budget picks for Hanoi, offering 10 decently sized rooms with windows for just $10 for singles and $12 for couples — it’s one of the cheapest places to stay in a private room in the city. You’re not paying for interior design. While Phu Hoa upgraded their street signage recently to a dazzling yellow and red number, the interior remains the same. The reception can be off-putting, as it’s cluttered, grey and gloomy but the proprietor, Mr Thang, brightens it up with his smile and helpfulness – and if you like babies or children you’re likely to find at least one hanging around. This area also houses a couple of computer stations. 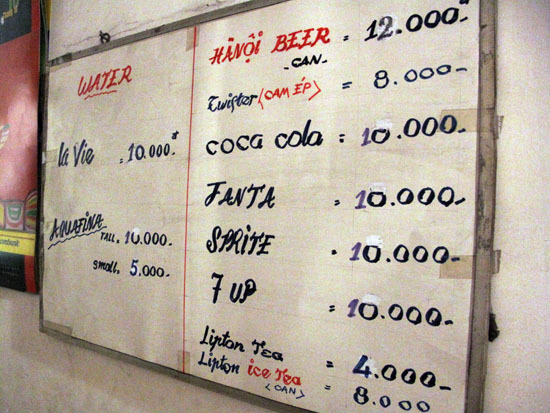 Read more about our favourite Hanoi budget hotels. It’s often the case with family-run hotels in Vietnam that the reception doubles as the family living room and at Phu Hoa it really does feel like you are walking through someone’s house — or even through the homes of several families. As we walked up the stairs to the rooms we passed kitchens and caught glimpses of various living quarters. Without wishing to sound voyeuristic, it makes it an interesting place to stay. It seems impossible that Phu Hoa houses 10 rooms, but it’s in a rambling, tall and thin house, as many are in Hanoi, and guest rooms are stacked at the back of the building. But that doesn’t mean the rooms are small — quite the opposite, they are a very generous size, particularly given the price. What you get for your $10 or $12 are two beds, a fridge, air-con and fan — useful for Hanoi’s autumn through early spring when air-con’s not really necessary — an old TV and a basic wetroom. Beds have soft, cheap mattresses and tiny pillows but we’d expect nothing else for the price. And the rooms have windows — more than one in some cases. 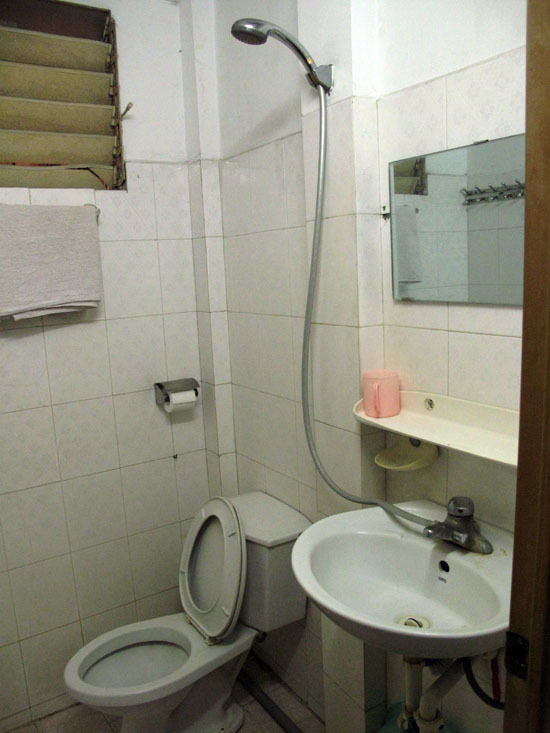 Despite the general clutter and grime that’s visible outside the rooms — we were loathe to touch the handrails — rooms are clean, with not even a whiff of damp, which is more unusual than it may sound for Hanoi hotels in wet weather. 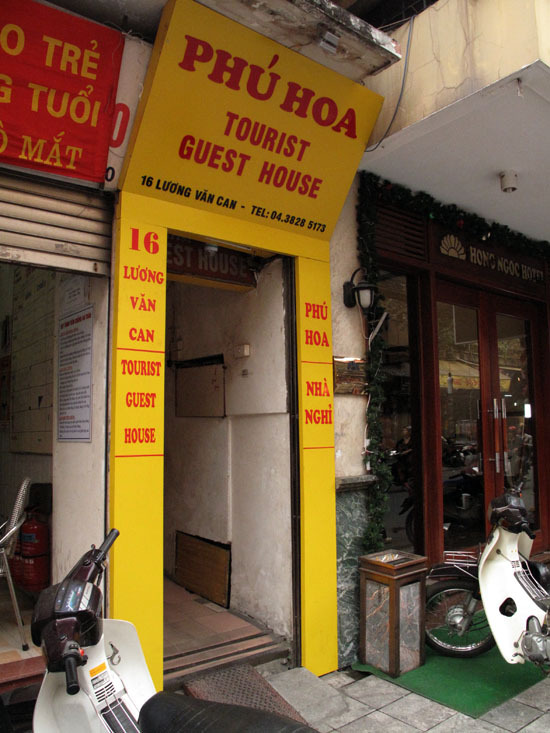 The price doesn’t include breakfast, but the guesthouse is located on Luong Van Can — also known as toy street — very close to the top of Hoan Kiem Lake, so numerous eating options are available nearby. 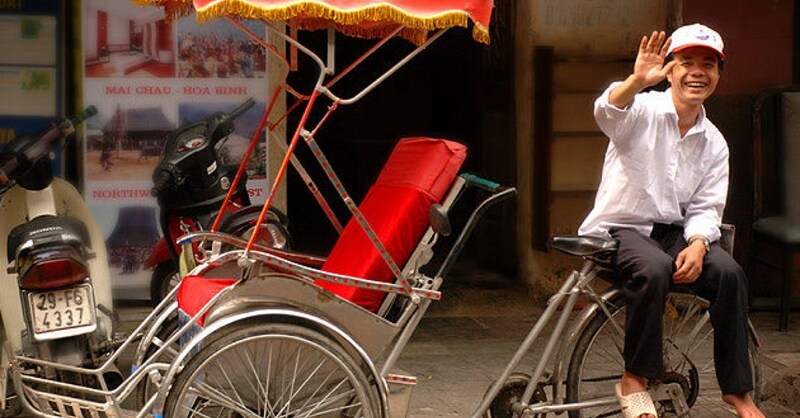 Right outside Phu Hoa you’ll find stalls selling ban bao (savoury-filled buns) and you’re within a five-minute walk of other street food stalls as well as tourist orientated restaurants. In terms of price and quality, Phu Hoa is matched only by Thuy Nga Hotel on Ta Hien, but Phu Hoa has the edge with room size and general appeal — even over some more expensive Hanoi hotels. If you can see past the reception area and somewhat suspect stairwell, it’s really worth checking out.